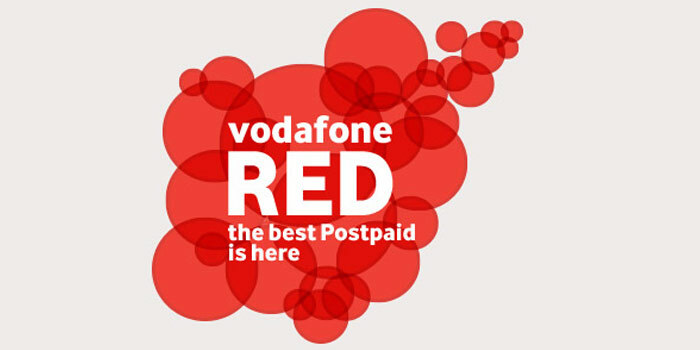 Vodafone has Launched new offers for Vodafone Postpaid Customers it’s called as Vodafone Red plans. I think it is one of the unique and benefit packages offer to their customers. The most important note is Vodafone red plan is only for postpaid user. Here i will share with you Vodafone Red plan and Vodafone Red For Business Plans. Even you can get more benefits like Voice, Data and SMS packs. It’s available on different packages it’s depends on your budget. The more budget more offers. Once you activate any one package it’s valid whole month. You can share your internet data to your family members also. Even you will get free SMS Offers, Free National Calls, Free internet up to 1 GB. If you want to know more about Vodafone Red Plan take a look here i will tell you Vodafone Red plans For Postpaid mobile offers like Voice, Data, SMS and Business Plans. Vodafone Users now can enjoy all good things in one plan. You may share your internet data to your family members or friends and there are lot of free calls facility, Free SMS facility and National Call Facility. Basically there are two different plans are available one is Vodafone Red Plan and Other one is Vodafone Phone Business Plan. Even It has different Categories also. Just follow the below instructions. Vodafone Red Plan Categories and Offers. Now Vodafone Postpaid Users will get Voice, Data and SMS in one Combo. If you want to activate this offer first you need to go to nearest Vodafone Customer center or call to 199. Even you can activate online also by visiting official website of Vodafone mobile operator. If you subscribe any one of the Vodafone Red plan then you will receive Data,SMS and Voice benefits. Once you activate any one of the these offer it’s valid up to one Month. If in case your out of the this plan you need to pay extra charges like local and STD call minutes 50P/ MB, For 2G/3G data 50p MB, For SMS 50p/SMS. Here i will provide full List of Vodafone Red Plans with different Packages. Now you can share your Vodafone Red plan to someone like your family members or Friends. First you need to create a group up to six members in a group. All must have Vodafone red plan or Rs 99/ month to directly connect to your plan. In this case Who’s create a group referred to primary member in the group. The maximum members in a list is six one is primary member and reaming are considered as secondary members. Now you can share Voice, data and SMS in a single recharge. Now you can add you data plan to device. But this process can allow who are primary member of group. The device SIM only may share voice, data and SMS. Even RS 99/ month pack users also can share their data. This is the best way to connect your device to Vodafone red plan. Guardian app is an application where parents may control child’s access like SMS, call and other applications with password. This app can support Android mobiles only. If you want to download this app you can download from google play store. The child must have this app otherwise you cannot access into their mobiles but parent does not need this app on their mobiles. Basically Password Manager is a app for Smartphone users. By Downloading this application you can store your important profiles and passwords. Any time you can view them by using master password. Your whole information will be stored in cloud. It is more secure and privacy. Even you can use this app in different devices where you download actually. If you want to get this app you can simple get by sending SMS like <VPMA>to 199. That’s it now you can get password manager app on your mobile. These are the best plan by Vodafone. Vodafone Red plans are only for postpaid customers. It is the way to get free voice, data, SMS offers in one plan. So start using new Vodafone red plans and get more benefits.